By learning to create and sustain more optimal physiological, and mental-emotional states we can decrease the risk of disease and also improve our body’s self-healing ability. Mind-body techniques that help us produce these optimal states include practices such as progressive relaxation, mindfulness meditation and various controlled breathing practices. 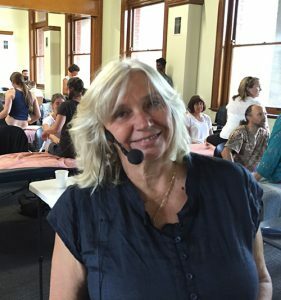 Most of these mind-body techniques have positive effects on the function of the vagus nerve. The vagus is the most important nerve of the parasympathetic nervous system. It is involved in the healing response and feelings of calm and wellbeing. The full extent of its potential role in healing the mind and the body is only beginning to be understood because of increased understanding of its function in regulation of the the immune and inflammatory response as well as organ function, and psychological health. Conditions like leaky gut, gut dysbiosis, fibromyalgia, chronic fatigue syndrome, heart disease Alzheimer’s disease and chronic fatigue syndrome are associated low activity of the vagus nerve. Vagal nerve stimulation (VNS) using a surgically implanted device has been shown to be dramatically effective for a range of diseases characterized by severe chronic and unregulated inflammation. The device has been used to treat epilepsy, OCD and severe non-responsive depression since the early 1990’s. It is also possible to stimulate the activity of the vagus nerve through the practice of breathing techniques. Resonance frequency breathing promotes communication and entrainment (resonance) between body systems such as the respiratory, circulatory and autonomic nervous systems, enabling them to work together to maintain homeostasis. Even though research into resonant frequency breathing has only been going on since the 1990’s humans have known about resonant frequency breathing instinctively. Hymns, chants, prayers, certain types of poetry create speech patterns that produce the resonant frequency. The benefits of this type of breathing have been researched extensively and the results are very impressive. It has been shown to reduce blood pressure, help patients with panic disorder, anxiety and depression. It is very beneficial for asthma, COPD, fibromyalgia and irritable bowel. It can also be used to maintain health by promote relaxation and restoring energy and resetting the body’s self regulatory or homeostatic reflexes. The lungs and the muscles of breathing make up what is called the respiratory pump. This pump moves air into and out of the body. It also moves other fluids such as blood and lymphatic fluid. When we breath we create rhythmic oscillations or fluctuations in pressure in the abdominal cavity and the thorax. These changes in pressure have far reaching effects on our body function affecting blood flow to the heart, blood pressure regulation and balancing the function of the brain and nervous system. Several of our body systems have in built rhythms or oscillations that work best when they are in communication with each other. When we adjust our breathing so that the speed, depth and rhythm and muscle balance are perfect these systems work together in a co-ordinated fashion. This co-ordinated function of oscillating body systems is called resonance. Resonance amplifies the action of physiological reflexes which exist in our body’s for the purposes of maintaining stability (homeostasis). What does resonant breathing look like? It is slower than normal breathing averaging at about 5.5 breaths per minute. It is slightly deeper than normal breathing but should not be so deep that it creates hyperventilation. The optimal speed and depth of breathing varies slightly from person to person. It relies on good diaphragm activity and balanced function of the respiratory muscles. It is helped by relaxation and the presence of a positive emotional state. The most common way that people learn resonant frequency breathing is with the aid of biofeedback equipment or breathing therapist. We have resonance frequency biofeedback equipment at the Breath and Body Clinic and use it as part of some breathing training protocols. 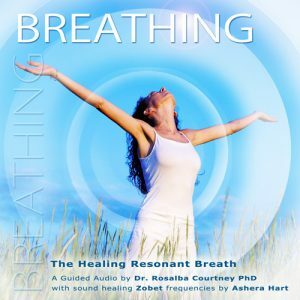 We also have a audio recording the Perfect Healing Breath which you can download on the products page of this website. The resonant breathing audio has had a profound effect on me. It’s as if my stress button has been re-set. I experience more inner calm and peace of mind, I sleep better and have more energy. With gratitude. I have been using the Resonant Breathing recording for the past two months for stress and increased blood pressure. After two weeks of regular resonant breathing my blood pressure went from 160/100 to 135/90 – I will continue to practice the technique. The most obvious feeling I get from the practice is a sense of calm, I also feel more positive with a renewed motivation.